Our Mission Statement describes the overall goal of the school. 2. Taking pride in our school community on the part of students, parents and staff, building on our reputation for excellence. 3. Upholding a strong sense of tradition based on shared values that are embraced and celebrated within beyond the school. 4. Developing an inspirational team of staff across the school that is collaborative, dedicated and always seeking further improvement. 5. Delivering outstanding teaching so that all students make exceptional progress in every lesson, every day. 6. Fostering ‘Park View Learner’ skills, which empower students to take ownership of their education, providing the skills required for college, work and life. 7. Offering an outstanding curriculum that ensures every student makes exceptional progress by being rich, varied and rigorous in every aspect from years 7 to 11. 8. Promoting activities, partnerships and networks that make a real difference for our community and beyond. 9. Making rapid progress right from the start so that expectations for year 7 are as high as for year 11. 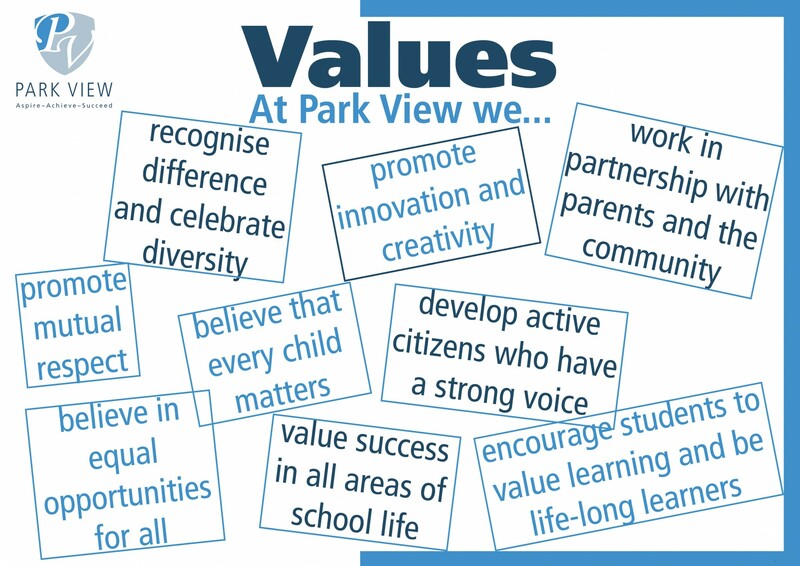 We are committed to embedding a proactive equal opportunities ethos across the organisation for all members of the school community and promoting fundamental British values. We recognise that the school has a key role to play in leading local efforts to promote community cohesion, tackling social exclusion and as a force for good in general.